Whether you’re on the road, on a hunt or on vacation, don’t let all of your training go to waste. Time away from home is part of life. Whether for work or play, we are often faced with extended periods away from our day-to-day workout routine. The key to not falling off the workout wagon during these times is to bend, but not break. Currently, I’m smack in the middle of a 10-day spring turkey adventure that stared in Texas and will wrap up in Oklahoma. Ten days away from home is a lot. That’s 10 days of not eating perfectly and not being able to stay on top of my diet and strict workout routine because of time spent afield. I used to stress hard about this, and the worry of not being able to adhere to my normal routine hindered my ability to fully enjoy hunts, vacations, etc.. But not anymore. First, I had to accept that my diet was going to suffer a bit and getting in my normal amount of miles or time at the gym simply wasn’t going to happen. Next, I started implementing these four workouts. They require no more than 30 minutes each day and keep me from losing all that I’ve gained. I’ve always said a 5K (or 3.1-mile) run is one of the hardest races in running. Why? Because you find your lactic threshold so early and must hold and function at that threshold for the entirety of the run. Whatever your race-pace 5K is, set a goal to run that exact time or shoot for a new personal best. Getting your heart rate elevated is key. Plus, if you can eclipse your personal best, it will boost your confidence, which will help battle the negative workout psyche that creeps in when you’re out of your normal routine. Currently, my personal best 5K time is 19:58. Earlier this week, I did a trail run in Texas and posted a time of 20:03. I was more than satisfied and was then able to add an additional 1.5 miles at the end. You can do CrossFit anywhere. Any 30-minute routine you want to implement will be fine. But this one will boost your heart rate and give your muscles a serious workout. Do this routine as quickly as possible without compromising form, and then repeat. See how many cycles you can complete in 30-minutes time. Related: How About Some CrossFit? I always travel with a backpack, typically the one I hunt with. I fill the pack with whatever I can (rocks, bricks, clothes, food, etc..) and take a good 30-minute hike in vertical terrain. Pound up the hills! Try to get the heart rate elevated to at least 150 bpm. 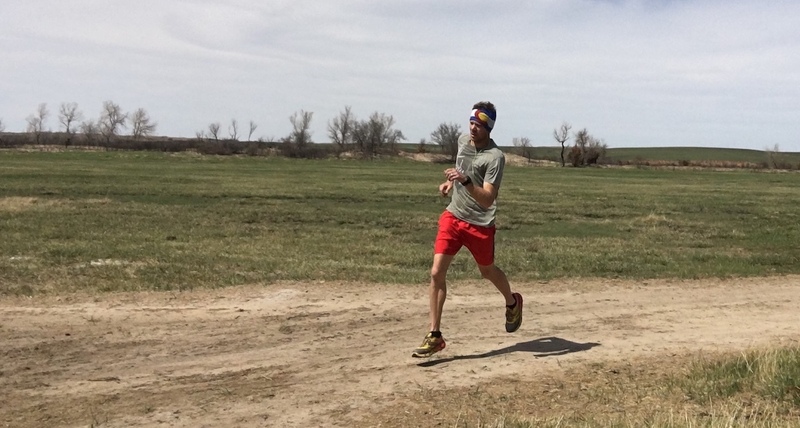 This is a great training zone, and dirt or blacktop hills are fine. Recover on the downhill. You can find a good hill wherever you go, it just may take a little prospecting. Using your truck or running watch, measure out ½ miles, and then heed the interval run below. Run ½ miles at more than race pace. Then, walk for one minute beyond your established course, turn around and come back to where you finished. Run ½ miles at more than race pace back to where you started. Walk for one minute beyond your start, and one minute back to your start. Run ½ miles at race pace. Repeat the walking. With whatever time you have left, do a nice cool down run and call it a day. These workouts — though not your norm — will keep you on track physically and mentally when you’re away from your daily routine. For more bodyweight exercises, visit www.travelstrong.net/bodyweight-excercises/.